Oak Activities offer a range of sporting games and activities to children from the age of 2 upwards. 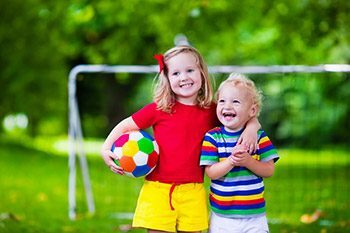 Our multi-sport activities sessions specifically aimed at pre-school children works in-line with EYFS and offer an active and fun session for children while focussing on the Fundamentals of movement. In this session we focus on gross-motor skills, balance, agility, hand to eye and co-ordination whilst learning colours, shapes and counting. This session is proving extremely popular in several settings in the county.